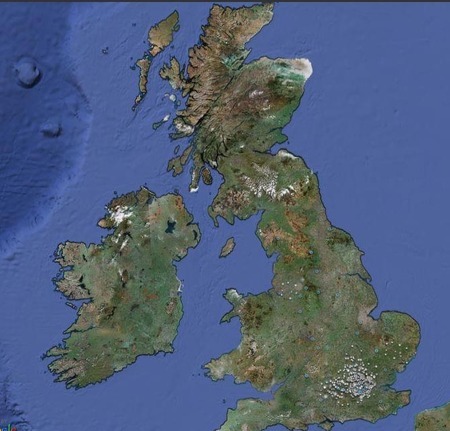 A real-time snow map, based on the occurrence of the word “snow” on Twitter shows that little patches are dusting the outer the edges of Scotland and that there are significant bits in the middle of London. The UK snow map put together by Ben Marsh automatically updates every minute and shows a panel of the latest tweets down one side of the screen. It asks you to tweet the first half of your postcode and then rate the local snowfall out of ten. Tag the tweet with #uksnow. I do have a hunch that there’s probably more snow in Scotland than people on Twitter are managing to document, so this may not be replacing the BBC weather reports in a hurry but look how pretty the map is. This is a cute idea. Wonder what else it could be used for… Santa sightings?